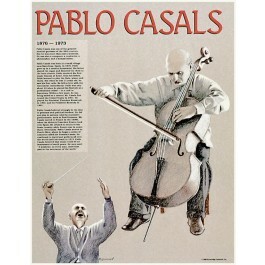 This poster features a striking artistic image and concise biography of world-famous cellist, composer, conductor and humanitarian Pablo Casals. Born in Spain in 1876, he first toured the U.S. in 1901 when he was 25. He played for Theodore Roosevelt in 1904 and John F. Kennedy in 1961. 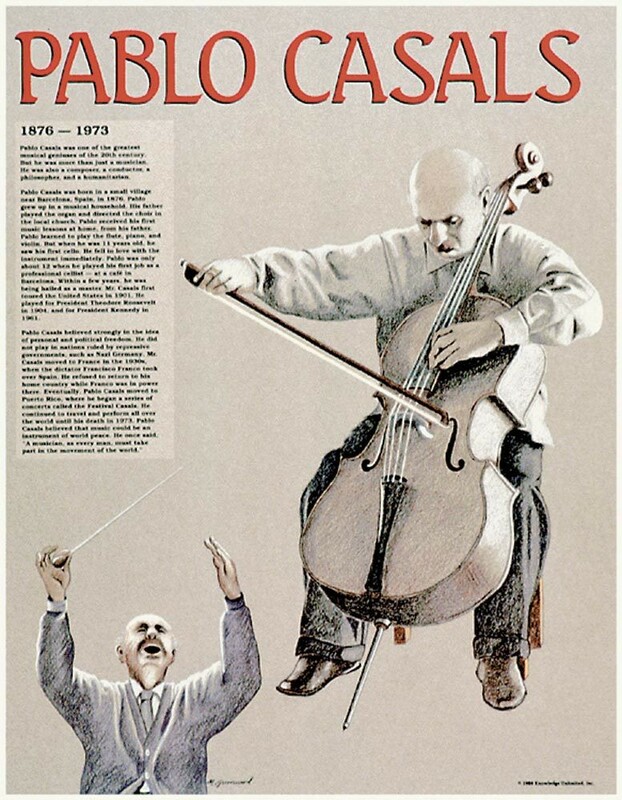 He eventually moved to Puerto Rico and continued to perform all over the world until his death in 1973.